Did you know that many used cars actually come from rental car companies? In fact, some people buy rental cars from used-car dealerships without even realizing it. If you're in the market for a used car, make sure you know where it came from. Consumer Reports reveals how. TUCSON, Ariz. - John Perry bought his used Ford Taurus 14 years ago for $12,000. With 9,000 miles on it, John thought it was a steal. But the car ultimately began to rust - raising his suspicion that there may have been more to the car's past than he knew. "I would try to touch up some rusty areas," says Perry. 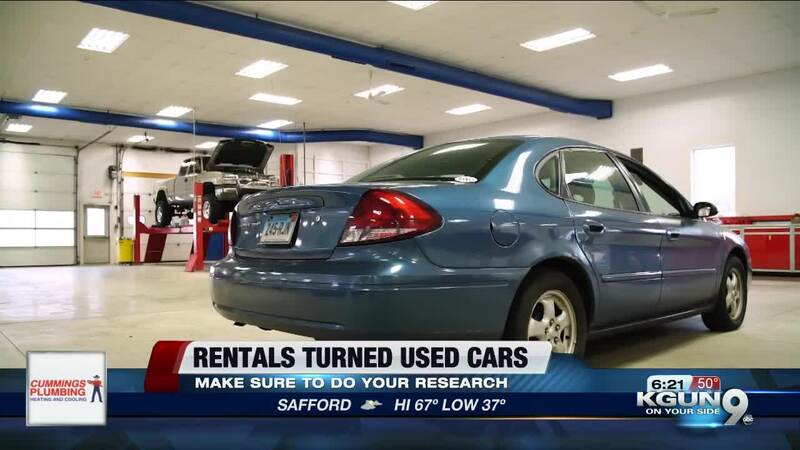 Consumer Reports was able to check the history of his car by using the VIN, or vehicle identification number through CARFAX, an online service which provides information about used cars. John's suspicion was correct. The CARFAX report said his Ford had in fact been a rental car for seven months before he bought it. All information John says he wished he had known. "So, the 9-thousand miles that were on the car were rental miles," says Perry. "When you are buying used it's important to know what that history is," says Consumer Reports Car Expert, Jen Stockburger. "Was it in a flood? Was it a rental car? Important details that may change your mind about buying it or not." Consumer Reports also says it's a good idea to get any used car inspected by an independent mechanic before you buy it. John says he definitely won't buy used again without checking the car's history, and he considers himself lucky. "It could have been worse for me. Mechanically, the car has been a terrific car. It really has," says Perry. In addition to CarFax, consumers can also use Autocheck to look up their vehicle history. Keep in mind, these services are not free and cost about $30. To check for recalls, go to Safercar.com. And you can also get a free Vin-Check report from the National Insurance Crime Bureau to see if the car had been reported stolen or as salvage.